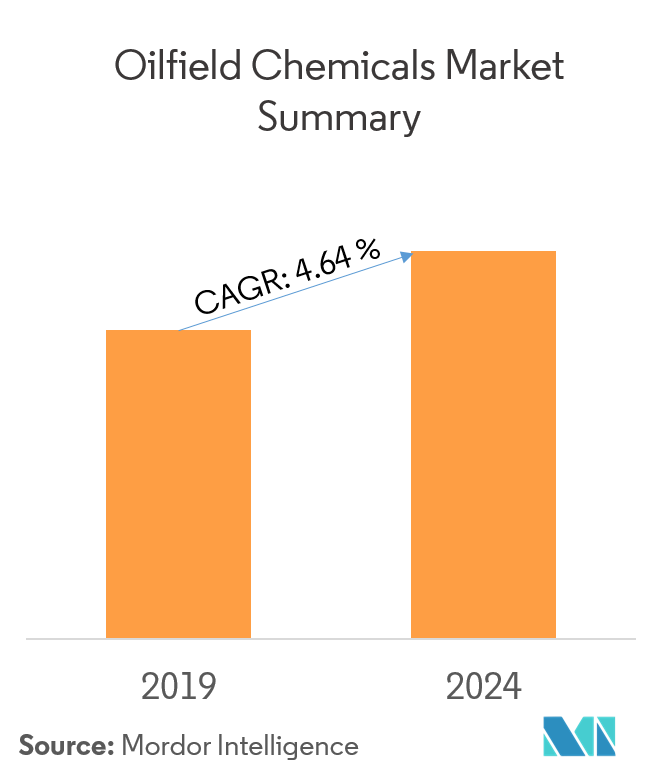 The global oilfield chemicals market is expected to register a CAGR of 4.64% during the forecast period, 2019 - 2024. This market is driven by a number of factors such as increasing shale gas exploration and production. The opening of new horizons opened up, due to deep-water drilling operations are likely to act as key major opportunities for the oilfield chemicals market. Rising demand for petroleum based fuel from transportation industry is expected to drive the demand for the market during the forecast period. Clean energy initiatives is likely to hinder the market’s growth. Production opportunities provided by developing countries is projected to act as an opportunity for the market in future. The well stimulation segment is expected to expand at a fastest CAGR during the forecast period. The United States is the largest beneficiary of this technology due to the increasing activity in unconventional plays. The Middle East and the Asia-Pacific regions have also shown immense potential in adopting the well stimulation techniques. Europe is also expected to shift its focus to the exploration of shale in the North Sea due to increasing requirement to become more energy self-sufficient. Moreover, the advancements in technologies are leading to the enhanced oil recovery from the existing oil plays resulting to increased production and higher profitability. Hence, the well stimulation chemicals are expected to have a very fruitful market in the near future. North America region dominated the global market share in 2018, due to the increased emphasis on shale gas production and exploration in the region. The United States accounts for the major share in North America mainly owing to the boom in shale gas industry, advancements in technologies and increasing oil exports. 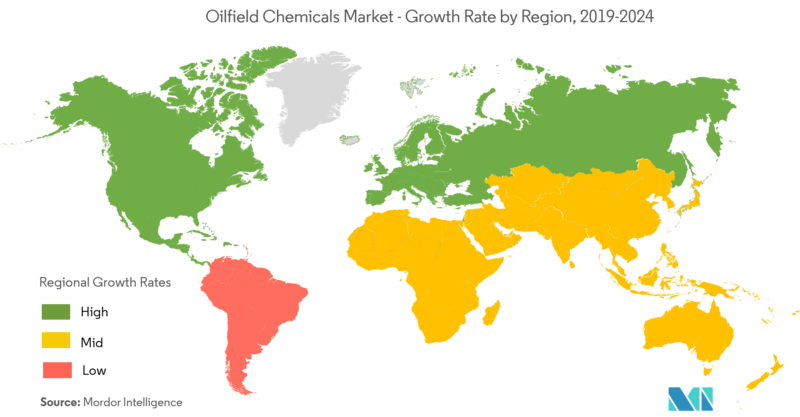 The shale gas production has been increasing exceptionally over the recent years, and owing to increasing demand from the major developing economies of Asia-Pacific, the demand for natural gas is expected to rise over the forecast period. This growing production of shale gas in North America, in turn is projected to increase the demand of oilfield chemicals over the study period. 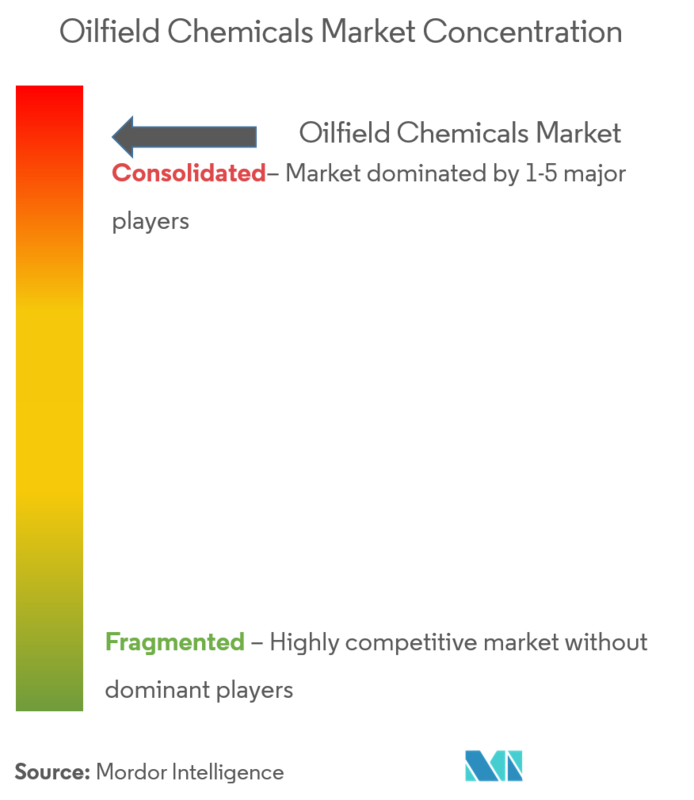 The oilfield chemicals market is highly consolidated. 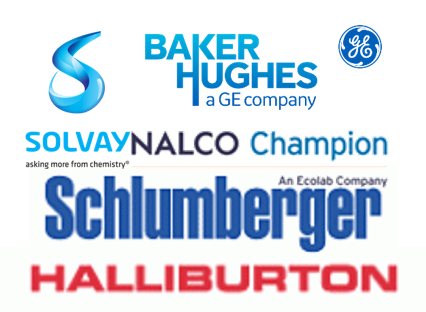 Key players in the oilfield chemicals market include Halliburton, Schlumberger Limited, Baker Huges Incorporation, Nalco Champion Technologies Inc. (ECOLAB) and Solvay.